Co. Armagh is a place of paradoxes. 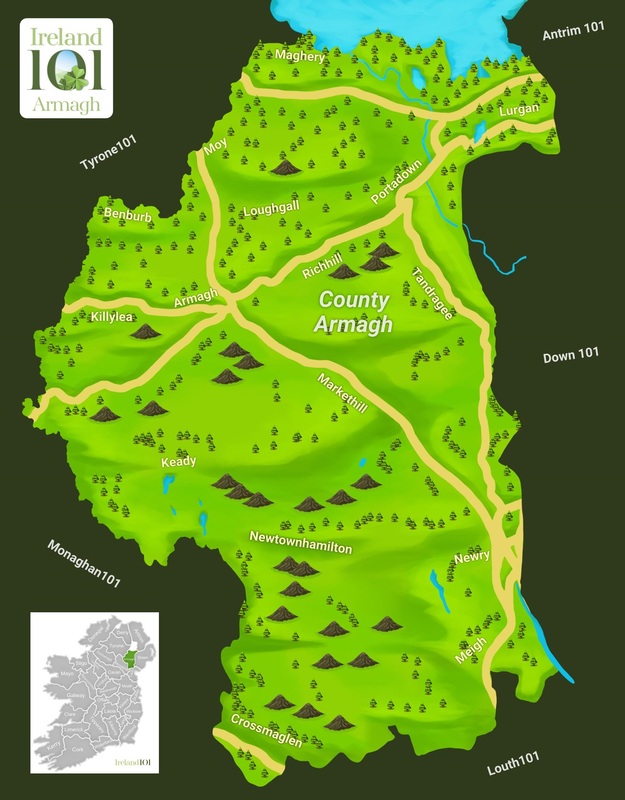 Known as the "Orchard County" because of the numerous apple orchards scattered around its hundreds of acres, at one point in history, Armagh was also listed as the most militarised area of Western Europe, and so earned the nickname "Bandit Country". 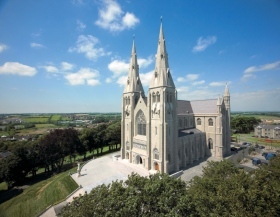 While it's true that Armagh suffered devastations during The Troubles, it has arrived into the 21st century with an incredible stock of historical places, including some of the most important religious sites in Ireland. 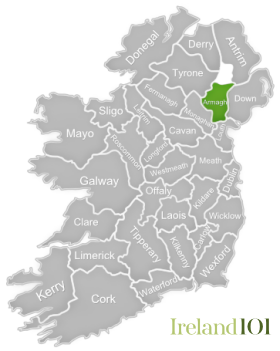 The county was named for its county town, Armagh – a tiny place of only about 15,000 inhabitants. 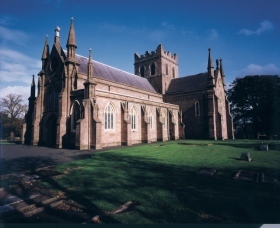 Although it is small, Armagh Town was founded by Ireland's patron saint, St. Patrick, in the mid-400s, when he erected the principle seat of Christianity at St. Patrick's Church of Ireland Cathedral. To boot, the remains of Brian Boru, the most important High King of Ireland, are at rest here. 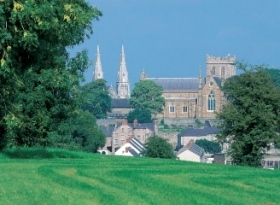 Armagh also boasts a working observatory and planetarium, founded in 1790, and the city's public library is home to numerous historical texts, including Jonathan Swift's personal first edition copy of Gulliver's Travels, complete with manuscript corrections written in his own hand. 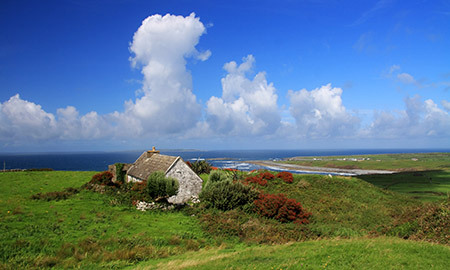 Co. Armagh's countryside is a lumbering series of drumlins, flanked to the north by Lough Neagh – one of Britain's largest lakes – and rising in the south to the 573-metre apex of Slieve Gullion, the highest point in the county. If St. Patrick and Brian Boru aren't enough, the Navan Fort also offers a glimpse into the importance of Armagh as a civil centre in ancient Ireland. 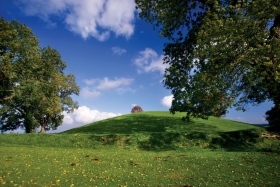 This earthen mound was once a pagan ceremonial site and, today, an interpretive visitor's centre, complete with reconstructed roundhouses, offers insight into the site's importance. And if it's castles you're after, you can do little better than a trip to Gosford Castle. This excellently refurbished structure is a prime example of a Norman revival castle – one of the few in the world. 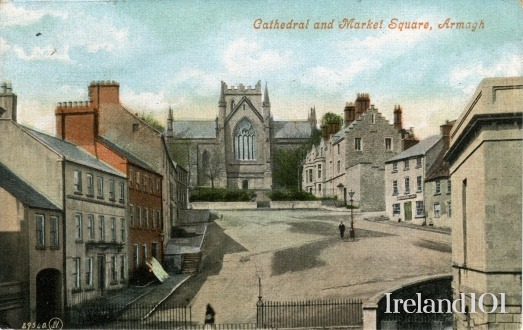 St. Patrick's Roman Catholic Cathedral was started in 1840, but work was suspended during the Great Famine of 1845-48 and recommenced in 1854. It was dedicated for worship in 1873. 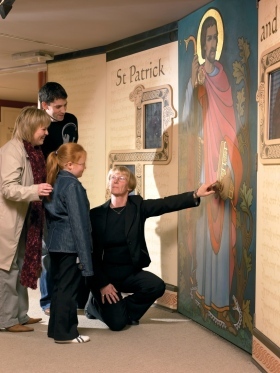 St. Patrick's Visitors centre in Armagh. 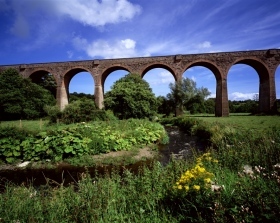 Tassagh Railway Viaduct constructed between 1903 - 1910 by the Castleblayney, Keady and Armagh Railway Company. 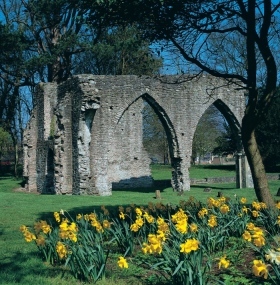 Armagh Franciscan Friary was founded by Archbishop Patrick O'Scannail in 1263. 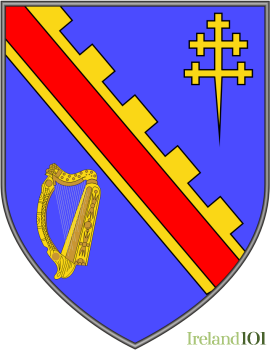 Armagh is also known as the orchard county. 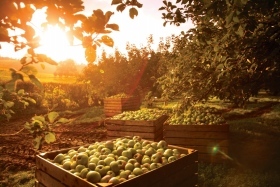 One of its most famous exports is the bramley apple. 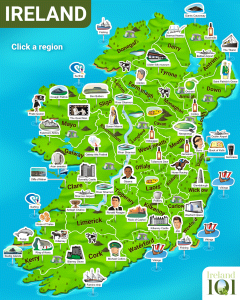 How much do you know about Armagh ?